Above: The Eve Lom color collection has finally arrived! When the news surfaced a few months ago that the cult skincare line Eve Lom would be releasing a color collection, lovers of esoteric and difficult-to-locate beauty waited with bated breath for its arrival at Space NK’s across the globe. 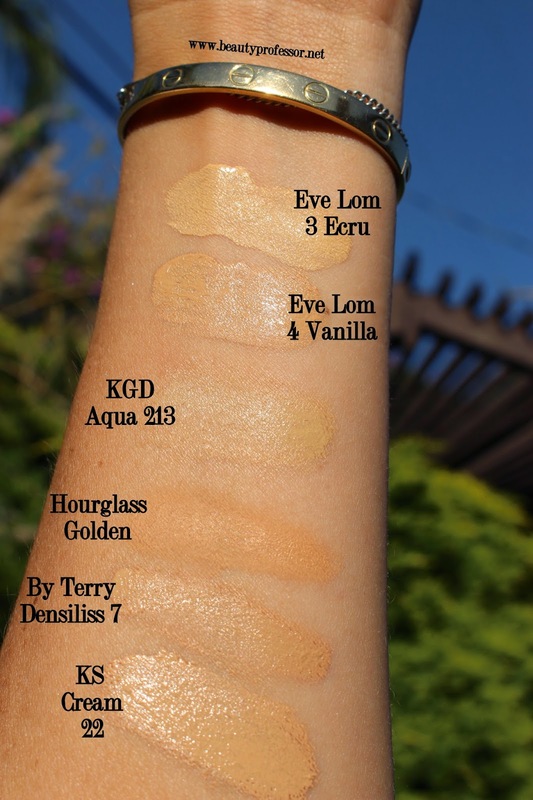 Thanks to my dear friend and fellow foundation fanatic Wendy, who texted me swatches of shade candidates (one day when I was home with a bad cold) as soon as she spotted the line in early March, I am now the proud owner of the Eve Lom Radiance Lift Foundation in #4 Vanilla, a light beige that is perfect for my current NC 23-25 skin tone. Above: This foundation comes in a sleek, frosted lucite bottle with a pump dispenser. Since then, I have had the chance to swatch every shade in this formula (special thanks to Gabby at Space NK, Fashion Island) in various lighting situations and hope that the following shade descriptions and images are useful should you have to order this foundation sight unseen. Above: The foundation retails for $60 for 1 fl oz. Above: "Back matter" on the foundation packaging. Advanced actively. Anti-ageing foundation that treats your skin to a long lasting weightless veil of silky, hydrating comfort. Feather-light feel with great cover that blends effortlessly for a flawless finish, with pores, fine lines and imperfections instantly minimised. Potent plant extracts plus Rose Flower Wax and Vitamins C and E help lift, firm and repair at the lowest levels, elasticity is restored and skin is kept deep-down hydrated. Meanwhile, SPF15 protects and luminosity-boosting agents brighten, so you achieve a smooth, even complexion that’s illuminated with supple, youthful radiance. Above: The full ingredients list. NO scent! Above: Vanilla 4 is a perfect match for my NC 23-25 skin. Above: The pump dispense is extremely precise and allows me to control how much product I choose to release. Texture, Coverage + Finish: Despite being a liquid formula, this unscented wonder has a very creamy texture that is easy to blend into the skin. I would deem this a medium, buildable to full, coverage foundation that dries to a satin-matte finish, most reminiscent of the By Terry Densiliss and the Suqqu Frame Fix N formulas. A single pump dispenses enough product to cover the entire face in a medium coverage sense. A pump and a half (this can be done!) is perfect for building up full coverage in the areas you might desire it. I apply this with a damp beauty blender to achieve this effect. Performance + Wear: Over moisturizer (lately, either the La Prairie Swiss Ice Crystal Oil or Sunday Riley Isis...in the testing phase), a bit of LMdB Peau Vierge #2 (non-negotiable!) and a touch of primer (either Rouge Bunny Rouge Genesis Original Skin or Jouer Anti-Aging Moisture Primer), this formula lasts 6-7 hours; there is no streaking or patchiness over the duration of wear, even in warmer climates (as my classroom often is). Also, due to its fairly matte (though decidedly skin-like) finish, I don’t usually set this with powder; however, I may touch up my nose with a bit around noon or so. Since I’ve experimented with this for only a couple of weeks, I cannot yet speak to its lifting abilities but I can confirm that the ingredients have been kind to my ultra-sensitive skin...no breakouts or irritation whatsoever! 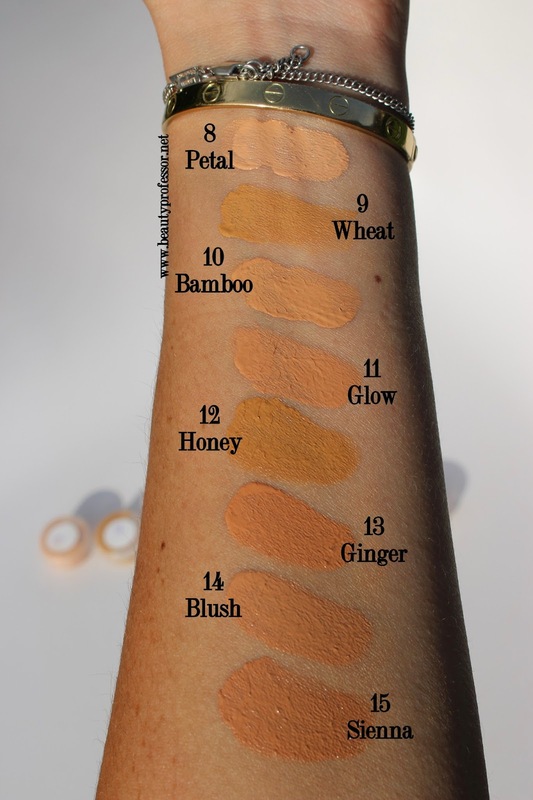 **Any high-end foundation formula with fifteen shade options is impressive; that being said, these shades tend to offer a wealth of possibilities for those with light and medium skin. The darkest toned 15 Sienna is a lovely option for those in the N/NC/NW 45 range, but I would love to see additional shades for those with complexions darker than this. Above (from L-R): Eve Lom 3, Eve Lom 4, Koh Gen Do 213, Hourglass Immaculate in Golden, By Terry Densiliss #7 and Kanebo Sensai Cellular Performance Cream Foundation in #22 Natural Beige. Above: Swatches in intense direct sunlight. Above: In nearly direct sunlight. Above: Outdoors in mixed lighting. Above: In outdoor mixed lighting. 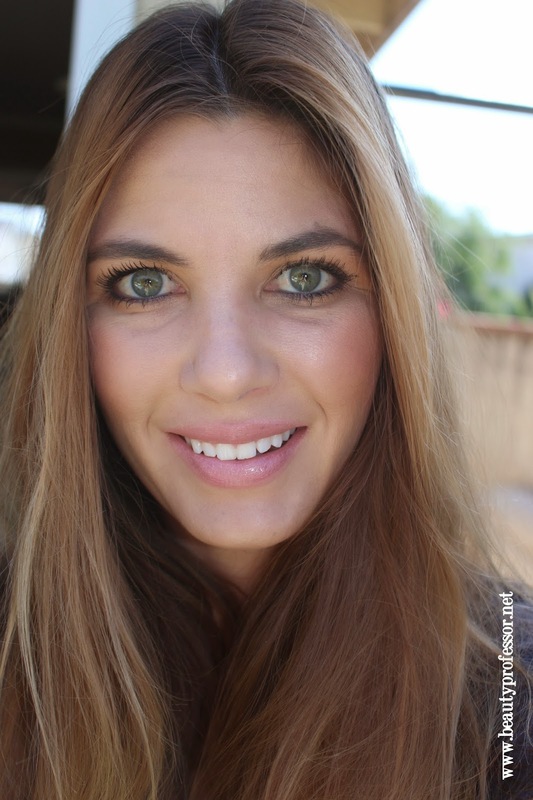 Bottom Line: The Eve Lom Radiance Lift Foundation is a brilliant addition to the foundation world. Featuring an impressive range of shades, this satin-matte, unscented, medium coverage formula with respectable lasting power and anti-aging benefits is sure to put the Eve Lom color line on the map. Overall, I am completely pleased with the performance and a delighted to integrate it into my current foundation rotation (more on what that currently comprises in the very near future!). Have YOU tried anything from the new Eve Lom color line? Thoughts? Good things on the blog in the coming days including a closeup of the Chantecaille Spring 2014 lip color, skincare travel essentials, more (!) foundation swatches, the Le Metier de Beaute Peau Vierge Powder (which I just received on Tuesday) and the latest addition to my Seth Wegter bags collection! I must say that I absolutely love the finish on you. It looks so natural, second skin like, just gorgeous! Thanks so much, Shireen!! It is indeed a very natural finish for a medium to full coverage foundation. Thanks for the detailed review. I just stopped. By spacenk yesterday and picked up a sample of this. I'm hoping I was given the right shade. My pleasure...so glad you were able to pick up a sample. It is a lovely foundation! Wow - this is so in-depth. Glad I found your blog! Great review. Glad you enjoyed the review, Teckie and happy you found your way to my blog! Fantastic!! So glad you are loving this foundation as I am. It is just a marvelous formula and you are right, the touch ups required are nominal at best! Thanks for sharing your routine! Think I will snag this in ivory 2 I think the only other color would be linen but that maybe to dark. I have this along with the by terry latest one on there way to me. Just curious if you've tried or heard anything about the tinted moisturizer? I also have been trying to order Sensai in Cf-22 but it's on back order for over 2 months do you know if there's a store that carries it & not just online. Thank you for all your reviews I have become a high end foundation junkie because of your informative reviews. I'd love to get the suqqu and charlotte tilbury foubdations when that comes to the states next year. That is excellent news! Both foundations are divine. I have only swatched the tinted moisturizer but haven't yet tried it so I cannot speak to its efficacy yet. With regards to the soon to be discontinued Kanebo Sensai line (so sad), I suggest calling the Neiman Marcus Fashion Island and/or Beverly Hills locations directly to see what they might have in stock! The best color match for me is 1 drop of GA 5.5 + 1/4 drop Dior 010 and 1/3 drop of Dior 030, three of them mix together gives me a color that's not too yellow and not too rosy but more of a peachy tone. LMdB # 7 is now too dark for me... I tried it the other day after I left you a message on suqqu question. I have to mix half of #7 and half of GA5.5 for it to work, otherwise it looks very ashy brown....I have # 3 on the way. BTW, I ordered Suqqu Frame Fix Lasting Pact Foundation N, very exciting ! I suggest #5 as it is a bit peachier but still equal in depth to #4 and just a hair darker than #2. I hope that helps and congrats on ordering the Suqqu Frame Fix...it is such a wonderful formula as well! Thank you. Yes, I will keep you updated. ( my friend in UK for her vacation is bring me the EveLom foundation, hopefully the shade color I sent her will have a good match from the sales associate ....). Your blog is a somehow dangerous place.... I was debating on LMdB Peau Vierge for a while and then I bought # 2 after reading your blog and the Kanebo Cream Foundation CF22 ( received few days ago and it is a perfect match!). Your winter shade seems to be working well for me right now. My pleasure...ahh...Peau Vierge #2 and the KS Cream Foundation #22...those are two unequivocal staples in my life. Glad to know they are both working for you! Wow!!! This is def a pretty foundation. I super love the different shades that can match any skin tone. I also love its coverage. It seems to blend well with the skin. By the way, it looks great on you. Beauty Professor is indeed a dangerous place when it comes to foundations ; ) I cannot seem to help myself! Thanks for your very kind compliment...so excited that you'll be getting Peau Vierge soon. You won't regret it! Hi , beauty professor. What a great review. 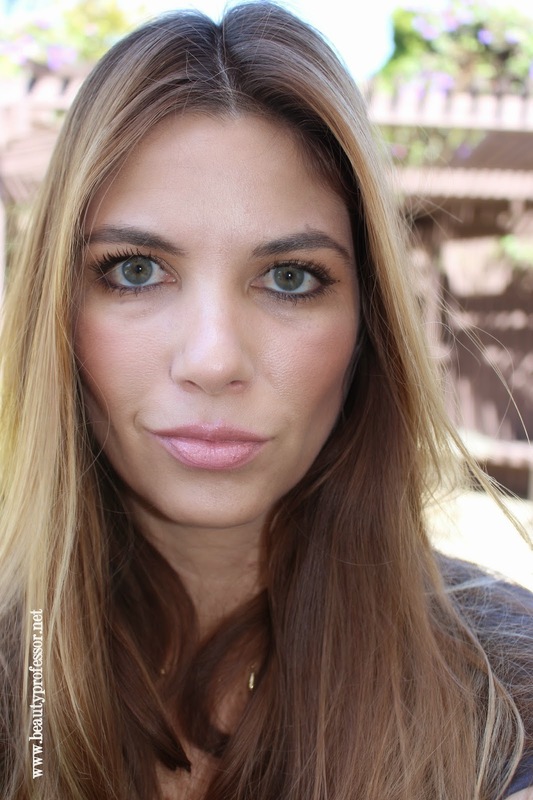 I am using Revlon colorstay 180 Sand Beige foundation. What color should I use in hourglass immaculate liquid foundation? Great review, I love your blog. I just ordered this Foundation thanks to your blog but I am asking myself if I need to try out the by Terry Densiliss as well? PLease do tell me which one performs better.. Thank you so very much! The By Terry Densiliss is slightly more velvet and matte in finish...it also contains additional skincare benefits (e.g., firming, refining etc.) and offers a touch more coverage (medium to full) in my opinion. I love Densiliss in the cooler months and know I'll be wearing a lot of the Eve Lom in the warmer months! Oh I am so glad you still answered! And Densiliss is now on it's way , too :D ! I love a matte finish. the Eve lom has arrived by now but I still have to look for a good powder to top it off since the finish is really dewy .. with the Eve lom mineral foundation it is a little too cakey, hmmmm. 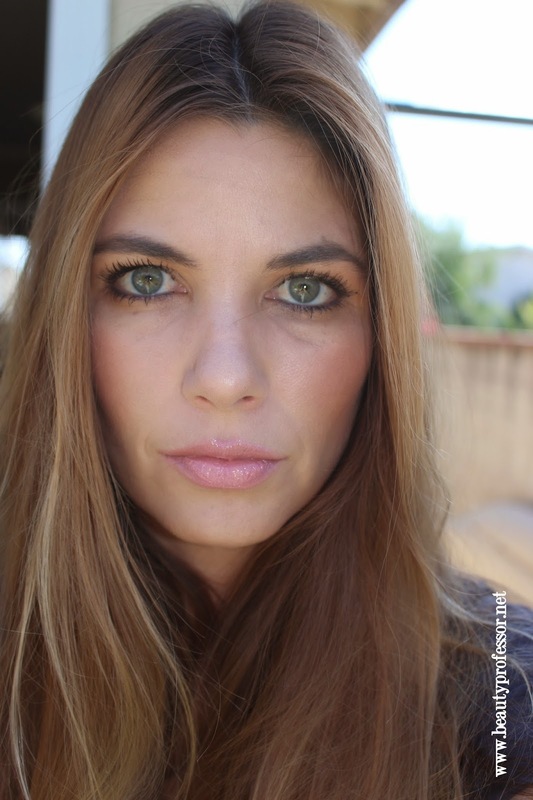 Will you still review the radiance powder by Eve lom? the translucent one? I received a sample of this foundation in both 6 and 7 from my Chicago Space NK. I think that 7 is the right shade family but is just a touch too dark for me. I had just returned from spring break when they gave me the samples. Would you say that 4 is the lighter version of 7? I think 7 will work in the summer but I want to wear it now and summer seems to be a long way off since we just had snow again yesterday :(. BTW, this foundation looks really nice paired with the By Terry cream blush that was recently released. A very fresh look for spring. Thanks for all of your swatches and reviews. Love the site! 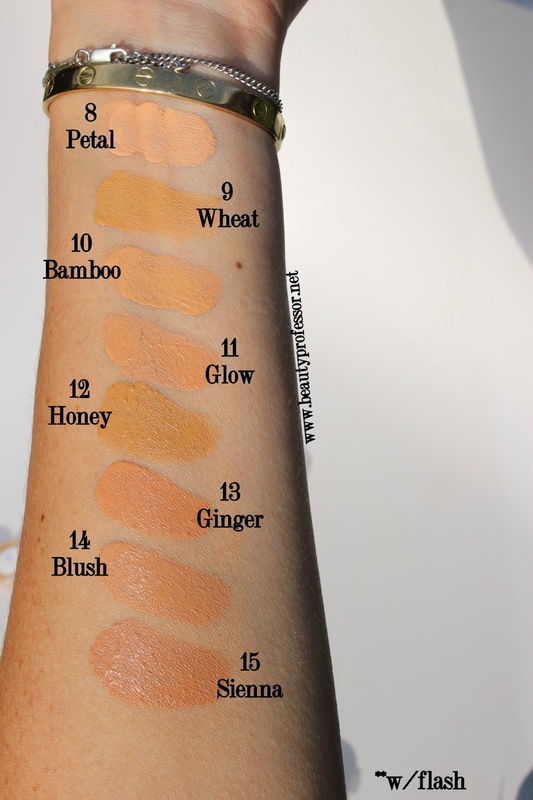 You do such an phenomenal job with foundation shades, particularly when the number or descriptions do not help to narrow down the shade choice. You are a great resource..seriously! 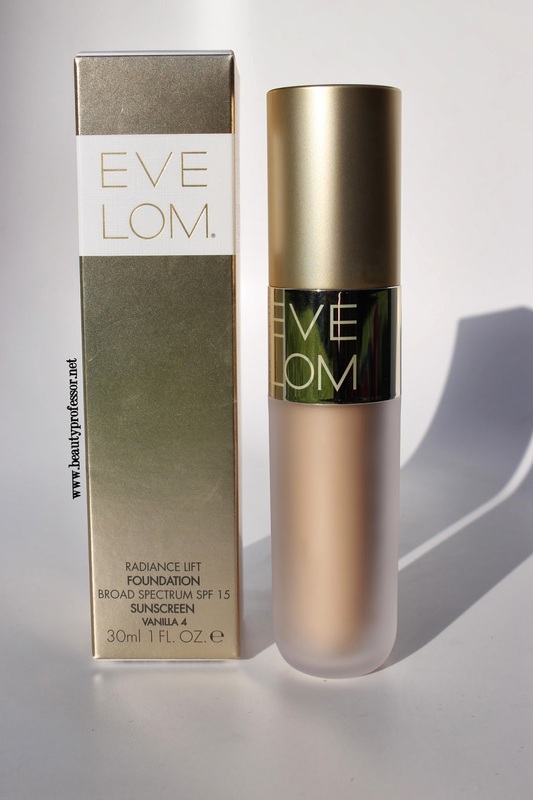 I have not tried either the lift nor the tinted moisturizer by Eve Lom, but based on your review, I'm so willingly there..for both :) This foundation looks fantastic on you, very natural. 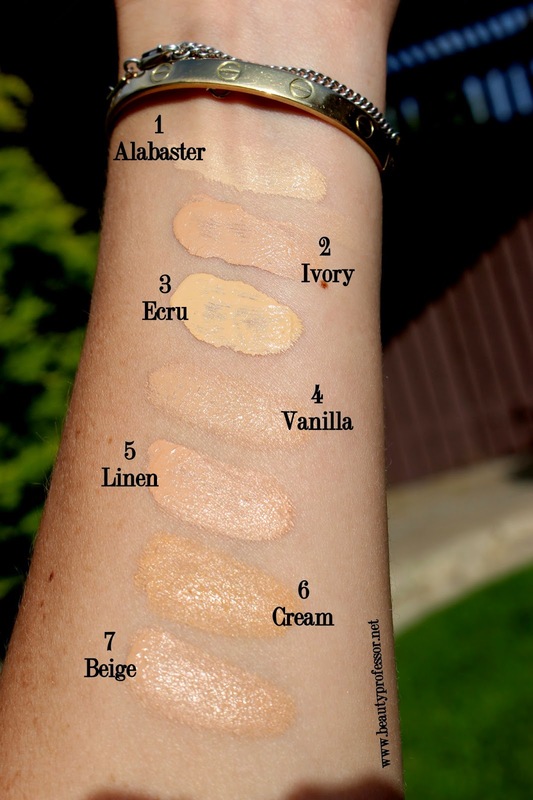 I drift somewhere between NC20 and NC25 with neutral skintones so I am going to choose #4 Vanilla. That is such a compliment to receive, Wendy...thank you so much! I am passionate about tracking down the perfect base and love that my readers feel the same way ; ) Yes, I think if you are in the NC20-25 range, then #4 Vanilla should work beautifully on you, especially with summertime finally here!